Fill in our form below and a member of our team will call you back or call 0845 6036963 now. Whether you are an experienced Landlord with a Portfolio of properties or a first time buyer interested in a residential mortgage we can provide you with professional advice. Getting a mortgage is one of the most important financial decisions you will take in your lifetime. There are all kinds of mortgage products to choose from, from fixed and capped rates to base rate trackers, and not all will suit your personal circumstances. All this comes before you start deciding whether Interest Only or Capital Repayment is the best option! That’s why you need advice from a qualified mortgage adviser with access to a wide range of mortgage deals, including some mortgage products, which are not generally available to the public directly. That way you can be reassured that a professional adviser is listening to your situation and combining their knowledge, experience and access to construct the most suitable solution for you. To help you make the right decision you can complete the enquiry form. Your details will be passed to one of our qualified mortgage advisers who will call you to take a few details in order that they can find you the best deal to meet your exact circumstances. We also provide a number of different types of policy that can provide a variety of cover. From Buildings & Contents (both landlords and residential) to the more basic, but well known life cover, to a plan that can pay you an income if you are unable to work because of illness, accident or you become unemployed. Some policies will allow you to specify the type and level of cover, so that we can tailor them to your requirements- whether this is budget driven or you want a specific shortfall covered. At Mortgage Business we prefer to discuss your personal situation first, rather than rely on statistical information; we will listen to your future lifestyle plans and aspirations, and then clearly explain to you all the available options and how you may benefit from them. As Independent Advisers we are not tied to one life company or protection provider, so having established the best kind of protection for you we can source plans and quotations from the providers. So, to help you decide what kind of protection may be best for you, contact us now and speak to one of our experienced advisers who can advise and recommend to you the best solution. Investing is an effective way to create wealth by making your savings work harder to achieve your financial goals sooner. No doubt you’ve worked hard for your money; by investing it wisely you could make it work harder for you. And, it’s not just for the rich – you don’t have to be wealthy to be an investor. 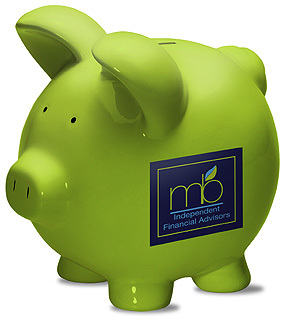 In fact, a well managed investment plan can increase your wealth, provide you with an income or both. Retirement planning is the process of arranging your finances so that you are in a position to achieve your financial and personal goals at retirement. When you consider that you could spend around one third of your life in retirement, you should start to understand the importance of having an effective retirement plan. By creating, reviewing and updating a retirement plan you increase the chances of living a financially secure retirement. Mortgage Business was created as a company with the purpose of providing access for our clients to the very latest in home loans and finance options for all residential, commercial and investment situations. If you would like to hear more about these topics or any other area of financial advice, please contact one of our specialist advisers now! You choose how we are paid: we can accept commission from product providers, or you pay a fee of usually 0.5% of the loan amount. The FSA do not regulate some forms of mortgage. 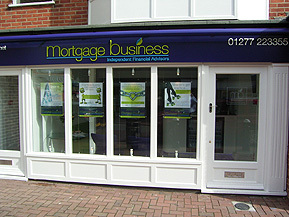 Mortgage Business is authorised and regulated by the Financial Services Authority. Copyright © 2018 Domans Residential Ltd. Web Design by Nebulas Website Design. The asking rent does not include letting fees. Depending on your circumstances and the property you select, Domans Residential may also apply the following upfront fees, all fees are plus VAT. Pets disclaimer fees/additional pet deposit, no fees are taken for pets but sometimes landlords may request additional deposit which normally would amount to 2 months rental depending on the property and what is agreed at the time, additional cleaning clauses may also apply. The tenants would be expected to pay for their own insurances for the property as applicable. Deposit is one and half times the monthly rental. We strongly advise applicants to check agents fees first before securing a property and they should be clearly advertised as above as per new legislation 1st November 2013.